Wales face a daunting task when taking on Spain and it is hard to see the hosts getting anything out of Thursday night’s international friendly in Cardiff. 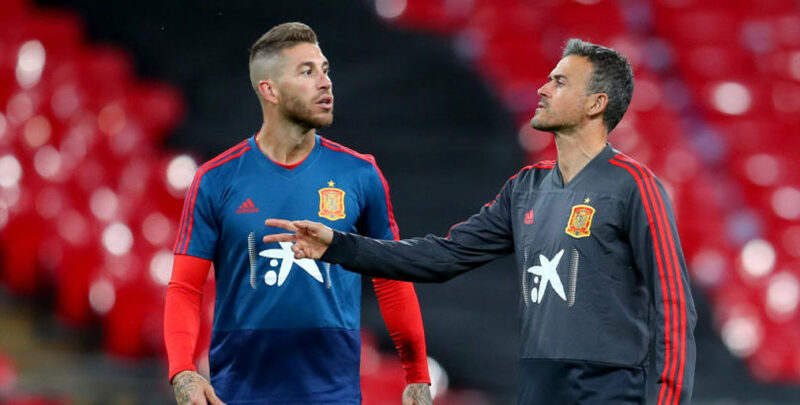 Luis Enrique has made a flying start to his reign as La Roja boss, beating England and Croatia in the Nations League. He will be keen to maintain the momentum and Evens for an away win to nil looks a solid option for our first Wales vs Spain prediction. Wales kicked off their Nations League campaign with an impressive 4-1 defeat of the Republic of Ireland but were then brought back down to earth when beaten 2-0 in Denmark. Christian Eriksen’s double settled that issue, with the Scandinavian side superior in pretty much every department. Ryan Giggs goes into this game with a fresh-faced squad and has been eager to promote young talent. David Brooks heads into the international break in good form, having scored in his last two Premier League appearances for Bournemouth. On-loan Derby midfielder Harry Wilson and Chelsea teenager Ethan Ampadu have also caught the eye of late. However, talismanic forward Gareth Bale has been ruled out with a groin injury and that will make things doubly difficult here. Looking at the Wales vs Spain odds, we think 21/4 for a 2-0 away win is the way to go. Spain put a troubled World Cup campaign behind them when striking with close-range finishes from Saul Niguez and Rodrigo in a 2-1 triumph over England at Wembley. La Roja then again controlled proceedings with some fantastic possession football when facing Croatia on home turf in Alicante and this time added a killer instinct in attack. Niguez and Rodrigo were on target once more as the Russia 2018 runners-up were routed 6-0, with Alvaro Morata, Sergio Ramos and Isco also on the scoresheet. Enrique may have one eye on next week’s rematch with England ahead of this clash, but even the list of fringe players who could be called up is oozing class. Veteran striker Iago Aspas has been in fine form for Celta Vigo this term, netting five times in his last six La Liga fixtures. We’re hoping he gets the chance to shine in Cardiff and are adding 11/10 for him to score at anytime to our Wales vs Spain betting tips.